As the sun starts to set on the ‘jungle paradise’ of Australia’s Orpheus Island a sweet song fills the air. But instead of leading a beloved wife out of the underworld this melody leads cane toads to their doom. Of course doom is a matter of perspective. Invasive cane toads are seen as a poisonous pestilence in Australia, they’re incredibly toxic to anything that tries to eat them killing off native predator populations and pets alike, so luring these amphibians in with a siren song can benefit basically every other living thing on the island. The sounds originated from traps set up on the island by researchers from James Cook University. They rigged wire mesh traps with a UV light to attract bugs and a tiny speaker that played the amphibian equivalent of Barry White. The biologists played several different sounds from the speakers designed to mimic the call of a cane toad. While male cane toads were attracted to all the traps in roughly equal numbers females, particularly ones ready to reproduce, were most attracted to traps playing a call that combined a low frequency with a high pulse rate. The researchers think that this might be because cane toad females tend to look for the largest most energetic males to reproduce with. Their research was published this week in the journal Pest Management Science. Figuring out what cane toad ladies are attracted to is important to anyone fighting back the not-so-slow tide of amphibians hopping across the continent. 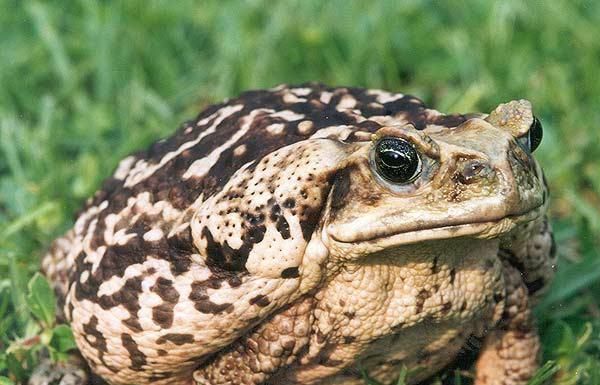 A female cane toad may lay upwards of 20 000 eggs per clutch so removing a single female with eggs from the population is more effective for control than removing a single male study author Ben Muller said in a statement. That doesn’t mean that luring toads into traps with dulcet croaks is the answer to Australia’s cane toad woes. As the authors note in the paper different populations have different vocalizations so any eradication efforts would have to take the local preferences of cane toads into account when setting up their traps. And the authors say this might work best on an island with a limited population—as opposed to the mainland where other toads could simply fill in the gaps left by the ones trapped with tunes. It’s worth noting that pest control for cane toads is basically pest control for pest control. The cane toads were initially introduced to Australia as a solution to another pervasive problem; beetle larvae that chowed down on the roots of sugarcane.